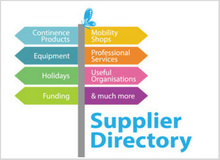 Disabled Living is a charity which provides impartial information and advice about products, equipment (assistive technology) and services for disabled adults, children, older people, carers and the professionals who support them. 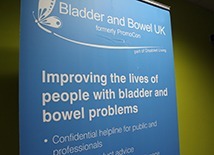 In addition, we support people with bladder and bowel problems through our service, Bladder & Bowel UK. Throughout 2017 we celebrated 120 years of providing services! Our team of health and social care professionals can offer practical solutions to what may seem like unmanageable problems, to people throughout the UK via our helpline service. 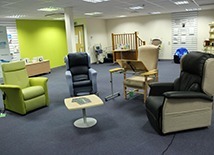 At our purpose designed ‘Centre of Excellence for Assistive Technology’ in Salford, Manchester, we offer free equipment assessments by our occupational therapy team. 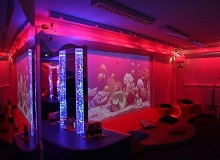 Our aim is to support people to maintain independence and improve the quality of their life, and that of their family. 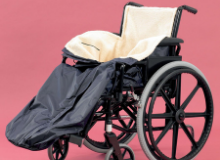 Disabled Living has an excellent reputation for the quality of services we provide and we welcome the opportunity to share these services with you. 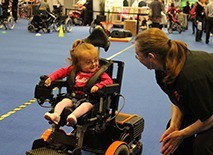 Disabled Living do not receive any statutory funding to support our helpline, assessments and additional services, if you have found our service useful, please consider making a donation.